Voters could weigh in on the creation of a JPA under a bill heard Feb. 7 by the Government, Military and Veterans Affairs Committee. 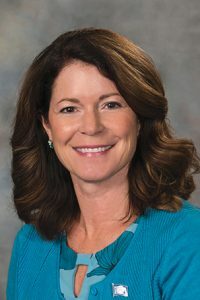 LB412, introduced by Lincoln Sen. Suzanne Geist, would require that voters approve creation of a JPA with the authority to levy a tax or issue bonds during a statewide primary or general election. Construction of the Lancaster County Event Center was funded through a JPA between the Lancaster County Agricultural Society and Lancaster County, Geist said. She clarified that she was not opposed to that project, but said that it should have been approved by voters. Coby Mach testified in favor of the bill on behalf of the Lincoln Independent Business Association. Mach said a JPA can buy land, issue debt and enter into construction contracts. There are seven JPAs in Nebraska, he said, three of which are in Lincoln, including one that financed construction of Pinnacle Bank Arena. Mach added that the owner of a $165,000 home in Lincoln pays $108 in property taxes each year to joint public agencies. Charlotte Ralston of Lincoln also testified in favor of LB412. She said JPAs are not transparent and that their use has been abused in the past. Lincoln Mayor Chris Beutler testified in opposition to the bill. Beutler said the Legislature created JPAs in the late 1990s to better take advantage of their component entities’ ability to raise money for construction projects. In some situations, he said, those entities might not be able to fund a project on their own. “These agreements help governments to cooperate on broader solutions in complex situations,” Beutler said. Lynn Rex of the League of Nebraska Municipalities also testified against the bill. Rex said that in 1996 the Legislature reduced levy limits for cities and villages, leaving them less able to increase property taxes for infrastructure projects. She added that JPAs also encourage collaboration between entities. “There are 272 school districts in Nebraska; there are 529 cities and villages; there are 93 counties; you have seven JPAs. This isn’t an abuse of anything,” Rex said.